Pohutukawa trees also a hokey pokey ice cream and I added Kiwiana the fern plant. 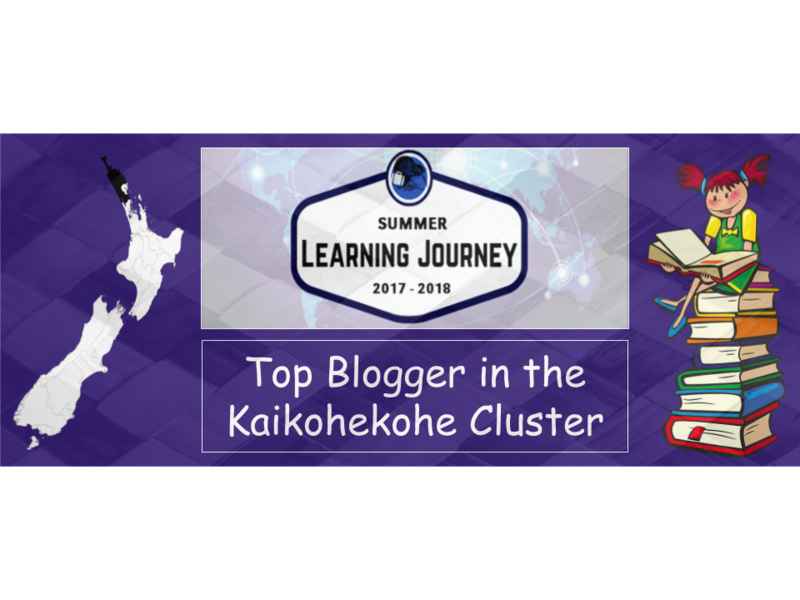 My name is Clare and Im part of the Summer Learning Journey. Your vibrant and colourful blog definitely grabbed my attention when I visited your page. You have added a lot of detail so your readers know lots about you and can see a profile image of what you look like too. This post card you made is really awesome. You have some great digital skills that you used here. What did you use to create this graphic image? I don't even remember the last time I used a postcard to post a letter as now If I am trying to get a message across I send an email. How about you? Its great how you added a small description to your postcard telling your readers what the designs stand for. If you were going to do it again what would you do differently? Comment below and hear from you Soon. It is great to see that you completed so many activities last week, Ka pai! I really like your postcard. It’s awesome that it has Cape Reinga as the background. Cape Reinga is a common tourist destination. I have only been there once when I was younger, but I’m planning to bring some friends up to Northland for a week or so and visiting the lighthouse will definately be on our list of things to do. Do you have any ideas on other places I should take my friends? The Summer Learning Journey ends this Friday (26th January) and we'd love to see you finish as much of the programme as possible! You've still got majority of week three and all of week four's activities to do so you still have some pretty awesome activities to choose from! I hope you've had a great holiday and are looking forward to heading back to school!